intensive medical management of patient conditions as well as patient education. for control of both endemic and epidemic diseases. who are committed to excellence in the delivery of compassionate, high-quality health care. labour monitoring, post abortion care, screening for cancer of the cervix among others. being Registered for eQuality Recently at Nyakatare Health Centre III. in villages where there are no other services available. nutrition and to allergies and parenting advice. 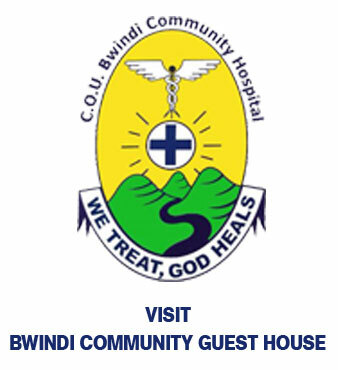 Bwindi Community Hospital is a Church of Uganda (Anglican) Hospital under the Diocese of Kinkiizi. It is staffed by a team of 121. These include; doctors, nurses, midwives, other health workers and support staff. 70% of our employees are from within our catchment area and 30% are from other parts of Uganda.Bwindi Community Hospital cares for more than 100,000 people living in the South Western corner of Uganda. The Hospital is located twelve hours drive from Kampala, the capital, on poor roads, two kilometres from the Eastern border of the Congo and one kilometre from Bwindi Impenetrable Forest. Healthy children are the key a thriving society. Read about the problems children face in Uganda, what we are doing to solve them, and how you can help. Every mother has the right to a safe delivery. Bwindi Community Hospital has reversed the trend of home deliveries in this area, has delivered thousands of babies in a safe environment, and provides vital education to women who give birth at the Hospital. Productive communities need healthy community members. Our HIV treatment services do more than promote health; they promote hope. See how we have revolutionized HIV treatment in the Bwindi area. The Hospital provides health services for a population of 100,000 people. About 40,000 are seen at the Hospital each year in outpatients and 2,000 require admission, not including maternity cases. On any day our clinicians can be dealing with accidents, burns and cancer. Because our operating theatre is open 24 hours, the caesarean section rate increased, we perform about 50 every month, majority being referral cases. We perform at least 20 major operations and 15 minor ones per week. 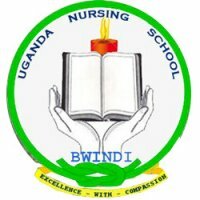 Bwindi community hospital laboratory is one of the best performing laboratories in the whole of south western Uganda as ranked by Star-South West; an NGO fighting HIV in South Western Uganda.Diagnostic has a program area was created in 2013. Bwindi Community Hospital recognized again!. Uganda National liberation day celebrations in Bwindi.